Diwali the festival of lights brings good luck to all. It brings with it the delight of triumph of Lord Rama over Ravana, imparts moral value of good over evil. The mood across the country is festive and jubilant. 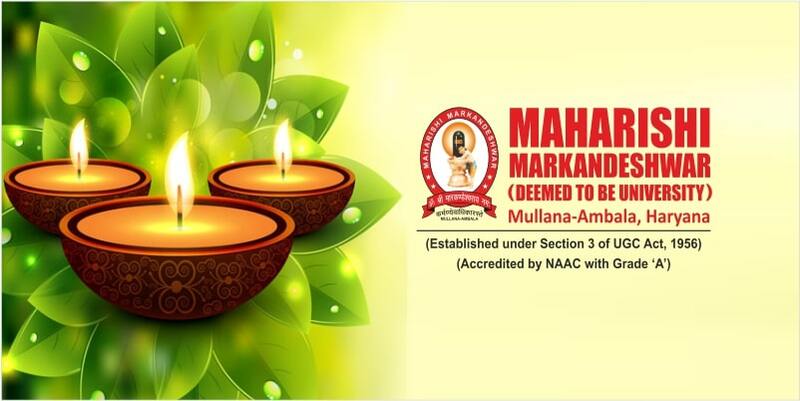 The lighted diyas enlighten the environment and removes the darkness of poverty and ignorance. There is increasing concern over environmental pollution and the safety issues involved in bursting crackers on the day of diwali and few days prior and after, the particulate matter is at its peak and can lead to serious health issues. The growing social awareness over environment through NGO’s ,social media and other programmes has motivated many people across the country in supporting eco friendly diwali. The best way is to stay away from bursting crackers. If one can’t stay away from crackers, it’s better to make use of eco-friendly crackers that are composed using recycled paper. Because these crackers produce less smoke, leads to less sound in the limitation of 125db to 145db and generate more light. If people stop using polluting crackers, manufacturers will look for eco-friendly options of crackers. It also depends on people’s mindset. Instead of lamps made of non recyclable plastic, people can choose to light earthein lamps. These can be recycled and are cost effective. It is the traditional way of celebrating diwali that is good from all aspects of protecting our own health and environment as well. People should use organic colours and flowers for making rangolis in place of chemical colours that are hazardous for the environment. During the cleaning of home we should make sure that we sort out unwanted things and distribute them to poor. Making the poor and needy people happy is one of the best ways to celebrate Diwali. We should opt for handmade paper while wrapping gifts and packing food during this festive season and not use plastic. However, Dipawali is a festival of lights, but it produces a large amount of waste. This Dipawali, take a pledge to dispose bio-degradable and non-biodegradable squander separately. Efforts should be made to clean up our locality after the celebrations are over. Try not to trash the diyas and other home decor. It can be used next year. This is the best way to save money and prevent waste. By adopting eco-friendly measures of limiting sound of crackers, promoting re-usable material for decorations and increasing production and use of e-crackers, this festival of lights can be enjoyed in a better way. People of modern society have started realizing the hazards of celebrating Diwali with smoke producing and noisy crackers, plastic packing materials and non biodegradable waste. It is high time to take a step towards eco-friendly practices.